the vast flow of Divine synchronicity. When you choose certain cards, they’ll reflect the state of your present, certain patterns and issues from your past that continue to influence your experience, and future potentials. This deck will bring you straight forward answer and will always show what you need to know, not want to want to hear. A honest and trustworthy tool for all question of life. The words on the cards act as a trigger that will put you in a receptive state. You can’t do it wrong. In addition, each card of the Angel of Prophecy Oracle is infused with powerful prayers that create a vibrant positive energy around them. Just keeping the cards with you brings down the Angelic powers. 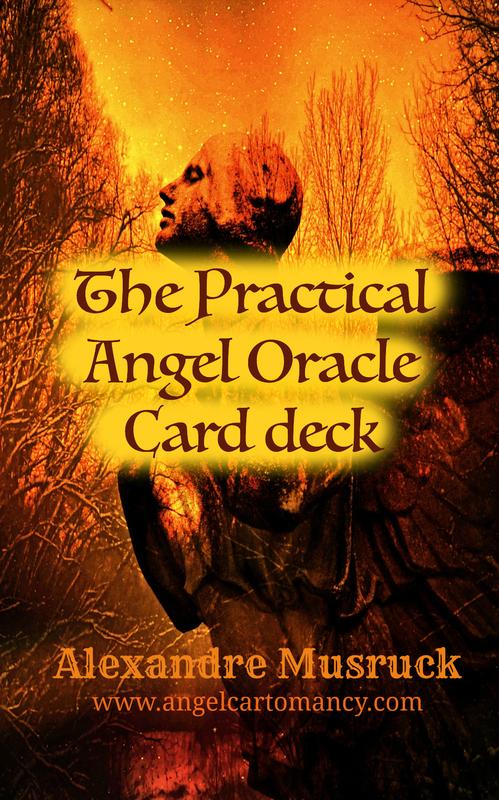 The Angel of Prophecy Oracle cards are the best gift to give to your loved ones and yourself. 44 intuitive cards of size of 3.5” x 5.75” ( 89mm x 146mm) Pack in a Tuck box with an instruction manual and Keywords for additional meaning.